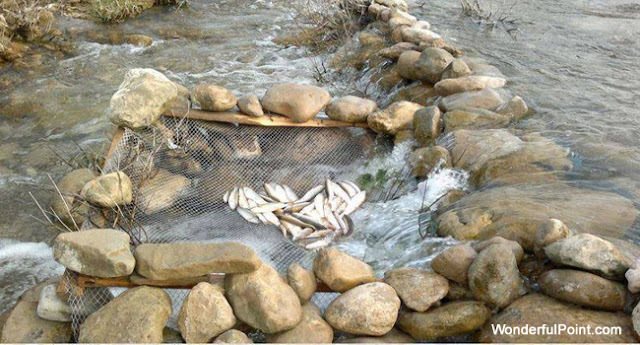 Fishing industry of Pakistan plays a significant role in the national economy. Pakistan has enough fishery resources however almost all of them are yet to be developed. Most of people of coastal areas of Balochistan and Sindh depends largely on fisheries for livelihood. This sector is overlooked by Fisheries Development Commissioner and Marine Fisheries Department. Almost one million people are connected directly to fisheries industry and half a million indirectly i.e. distribution, marketing, sales etc. There are also 15 commercial species of shrimp, 12 of cephalopods and 5 of lobster, 250 demersal fish species, 50 small pelagic fish species, 15 medium-sized pelagic species and 20 large pelagic fish species. 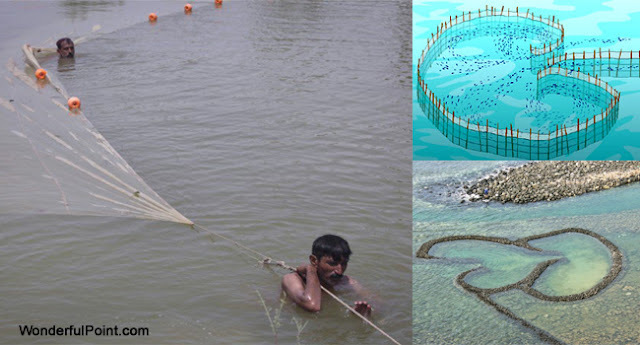 These 7 traditional yet amazing methods are used in Pakistan for fishing. 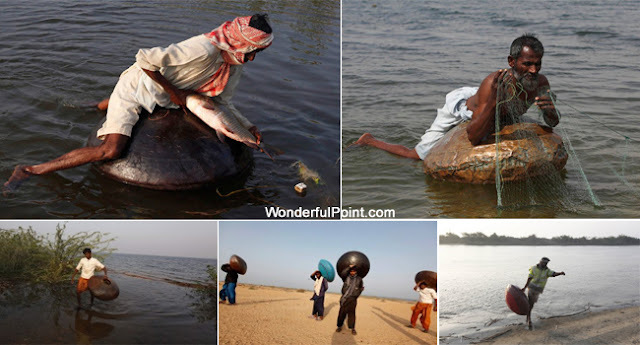 This is the most common type of fishing technique used not just in Pakistan but all over the world. This is, however, not a professional way of fishing, but a volunteer's way to fishing. 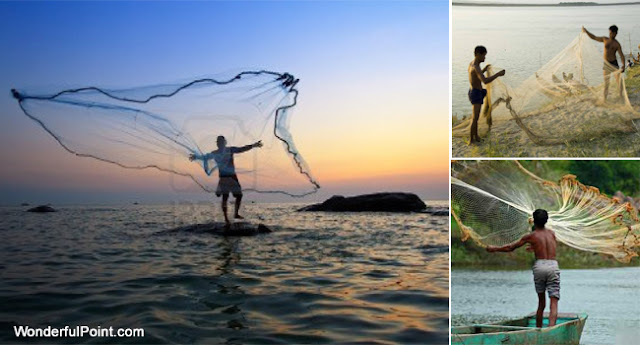 Fishing with nets is the most used technique to catch fishes. It is used by almost all people engaged in fishery industry. 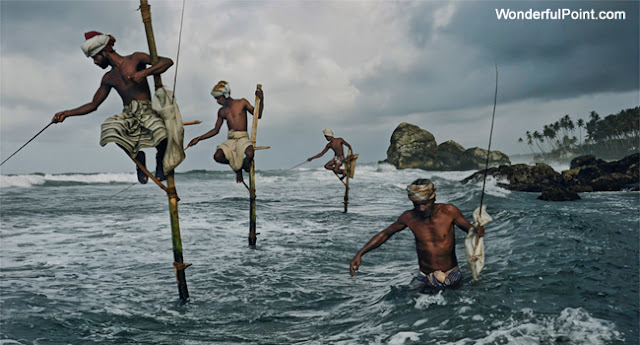 This is yet another traditional way of fishing where sticks, stones or nets are installed for a certain period of time in such a way that fishes get caught or get stuck into it. 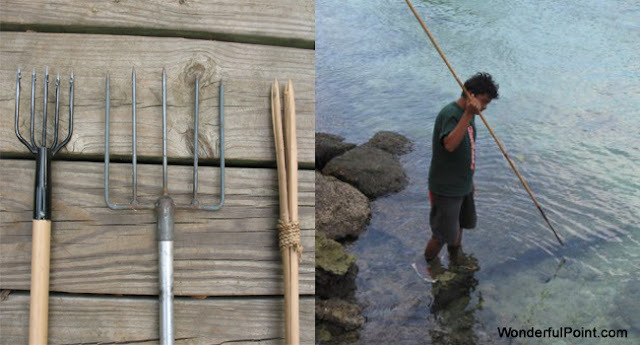 This is mainly used in Sri Lanka and Bangladesh, however people on coastline of Pasni, Balochistan also use this technique to catch a certain specie of fishes. This somehow looks like above shown technique, however this is slightly different. 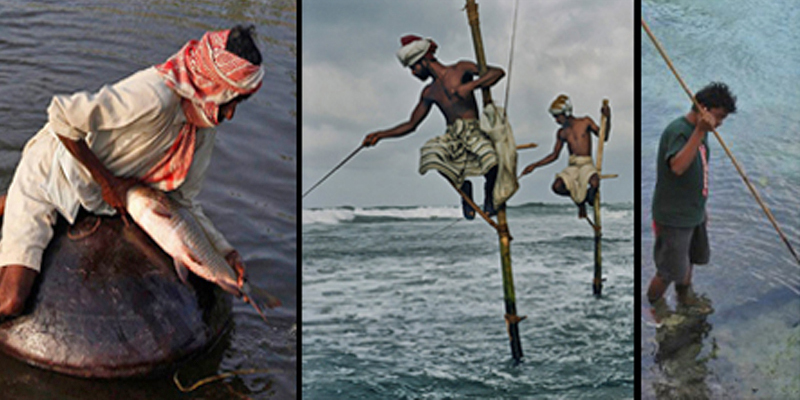 Sharp tools are attached on sticks or iron rode then fishes are cached that makes it much like hunting fishes. In Pashto, this art is called Chajyor Chejakee. 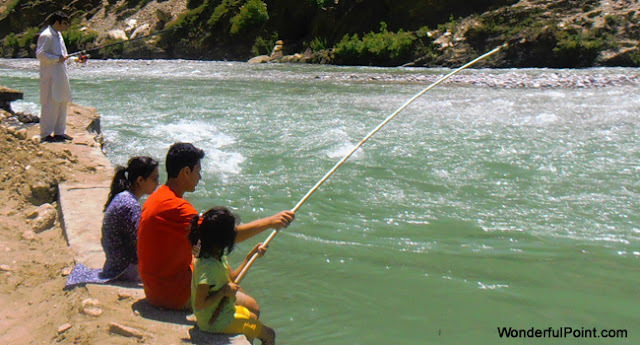 This way of fishing is mostly practiced in remote areas of KPK. This technique is specially used at Keenjhar Lake, Thatta District, Sindh. Floating pitchers are used to catch fishes.